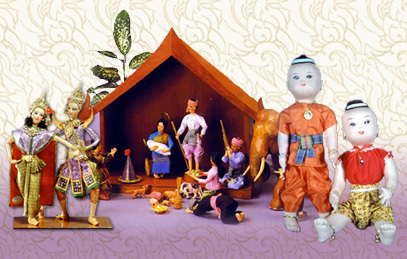 Since 1957, Bangkok Dolls has been creating a variety of exquisite handmade collectible Thai Dolls. Each doll is handcrafted by fine artisans, as they have been for generations. Every year, thousands of people from around the world visit our atelier in Bangkok. Come see what makes a Bangkok Doll the perfect souvenir from Thailand.